This delightful new picture book from the talented Emma Quay is bright and fun, yet tender and sensitive. It reminds us how special babies are to us, showing the genuine joy a baby brings and the power of the love you feel for that baby. The simple rhyming story is perfect for reading aloud with young children. It cheekily plays on the idea that all parents think their baby is the most special, but of course, if your baby is special to you, that’s all that matters anyway. would be the brightest one. The gorgeous illustrations are so perfect for the story, bright and happy, yet also soft and gentle. The yellow, orange and blue tones throughout give a light-hearted feel and keep the link to the sun that starts the story off. I love the multitude of little babies dancing around the sun, flying high in the sky and growing as flowers. Their little faces all exquisite in their own unique ways, with rosy cheeks, sweet smiles and peaceful slumbers. Each has its own personality shining through, showing that with all the diversity of babies, each is special in its own way. They are so adorable, you can’t help but fall in love with them! This is such a charming book that will make for a special reading experience between parent and child. It would be a perfect gift for any new parent! 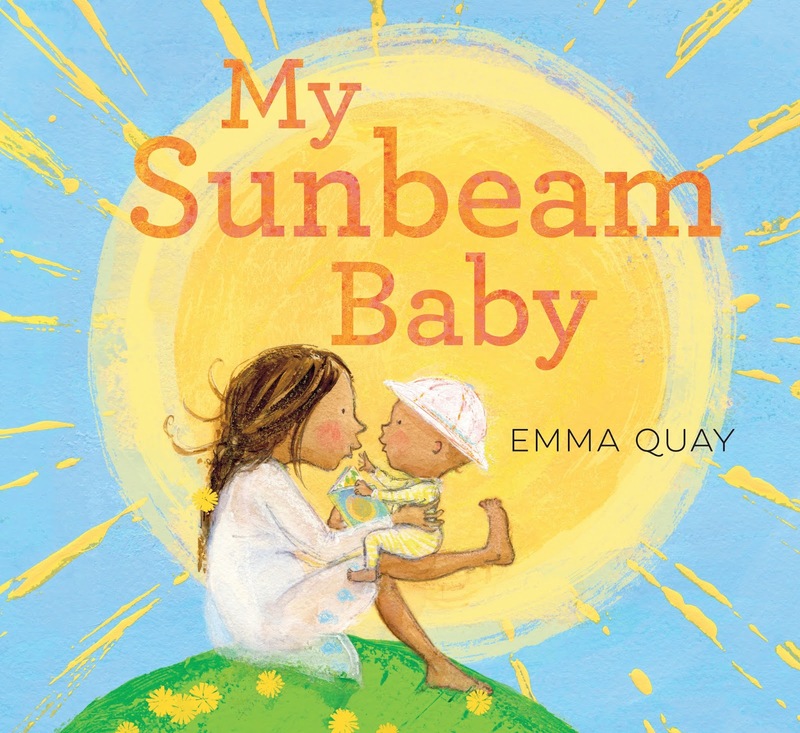 You can read our 12 Curly Questions interview with Emma Quay here.